Happy family on vacation. Mother with children on the playground. 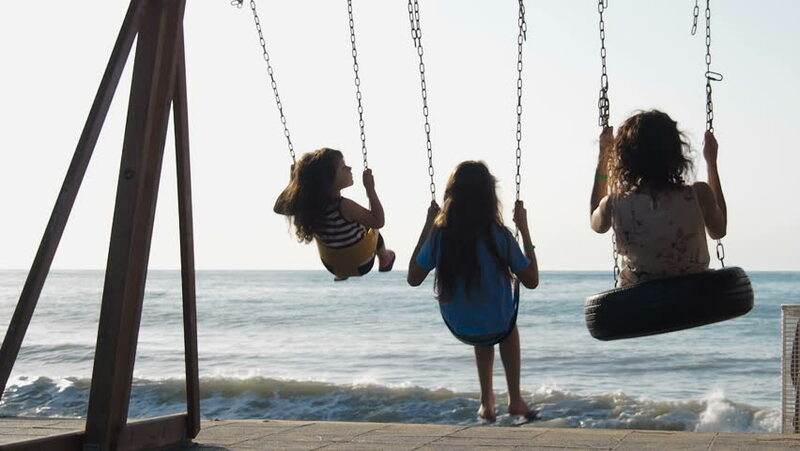 Daughters with mother ride on a swing on the beach. hd00:12Happy couple hugging and kissing at the edge of the cliff. Young man and woman stay together, sea view. hd00:16Poverty. Empty wallet. Cash in your wallet.